The Zakka Dilly Bag is one of my favourite projects from my book. It is a sweet drawstring bag with a crocheted base that is perfectly sized for storing your latest crochet or craft project. As soon as I saw this retro inspired Little Lamb print, I couldn’t wait to sew with it. It is already storing my latest crochet project. I added a polka dot, felt, and leather label; linen ribbon; and pink wooden beads. It is lined with a pretty floral print. 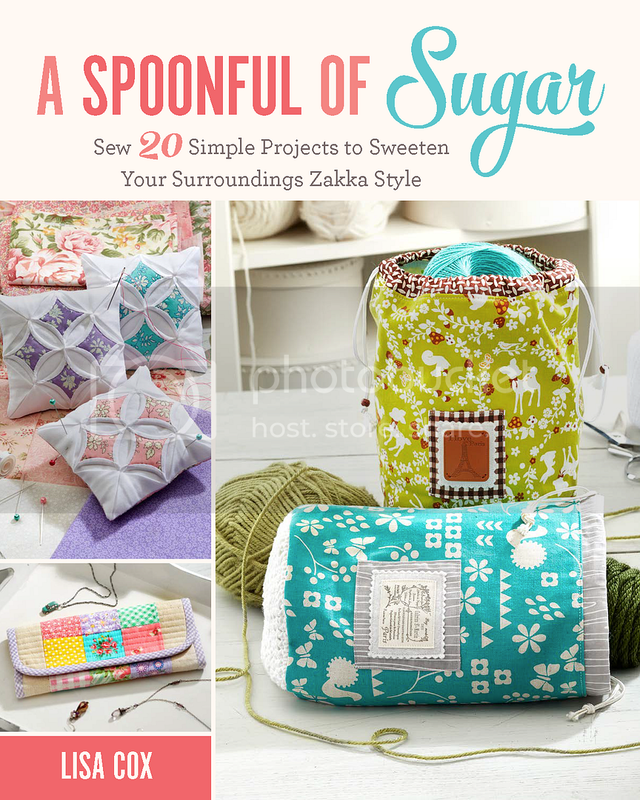 You can find full project instructions in A Spoonful of Sugar, Sew 20 Simple Projects to Sweeten Your Surroundings Zakka Style (coming soon). The Zakka Dilly Bag is featured on the cover. You can find the pretty fabrics I used at Dolly Henry. Megan stocks a sweet range of fabric to inspire your next project.